As the end of the year approaches, the staff at Wiesman Nasal and Sinus hope your holidays are filled with peace, love and great joy! 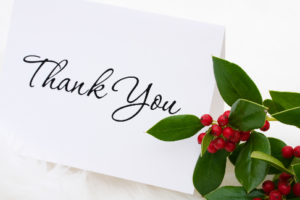 We are very grateful for all our wonderful patients and would like to thank you for the continued trust you place in us. We look forward to serving your needs for cosmetic procedures and corrective surgery in the New Year. Whether you need otoplasty or rhinoplasty in Chicago, we will continue to provide you with the care and compassion you deserve. For more than 25 years, Dr. Gary Wiesman has been committed to combining his exceptional surgical technique with artistry to improve the quality of life for his patients. As a board-certified physician, he is specially trained as an otolaryngologist to provide ear, nose and throat surgeries, as well as advanced education to offer facial plastic surgeries. Through his state-of-the-art facility, he provides an array of cosmetic and facial plastic surgery services to meet your exact needs. Dr. Wiesman embraces the latest advancements to offer less invasive procedures while ensuring successful results. With in-office balloon sinus dilation, he can improve the symptoms of sinusitis. He also provides treatment for deviated septum, chronic nasal congestion, adenoid surgery and the removal of nasal polyps. In addition to audiology testing in Chicago, Dr. Wiesman provides many services to improve the appearance and function of the ears, including otoplasty, hearing loss surgery and eardrum surgery. Throat conditions can lead to several health complications. To improve your health and quality of life, Dr. Wiesman provides tonsillectomies and treatment for sleep apnea. In addition to feeling your best, you also deserve to look your best. As a facial plastic surgeon, Dr. Wiesman provides extensive cosmetic treatments, including rhinoplasty as well as eyelid surgery to remove excessive tissue. To restore a youthful appearance, he offers chin implants, facial fillers and BOTOX® Cosmetic. You can even benefit from the latest non-invasive fat removal procedure with Vanquish™. As you embrace the holiday season, we wish you happiness and success in the New Year. We look forward to continuing to be your trusted choice for cosmetic procedures and corrective surgery in the Chicago area. Dr. Gary G. Wiesman has been a trusted and reputable otolaryngologist and facial plastic surgeon in the Chicago area for more than 25 years. With an in-depth knowledge of structural physiology, he combines the ideal structure with aesthetics to provide high-quality results. Supported by his extensive qualifications, he is affiliated with many hospitals in the area, including St. Anthony Hospital and St. Mary Hospital. In addition, he has many fellowships and memberships with trusted organizations, such as the Chicago Medical Society and the American College of Surgeons. Through his commitment to provide exceptional care to his patients, he has completed extensive educational training to specialize in ear, nose and throat surgeries, as well as facial plastic surgery. If you need a corrective or cosmetic procedure, please contact Wiesman Nasal & Sinus to schedule a consultation.